- You get 3 tubers of live water lily like the 2nd photo. They are sample from our stock. - Approximately size is 2-8 inches height. - It's wonderful for aquarium community. 3 Pack water lilly tuber. 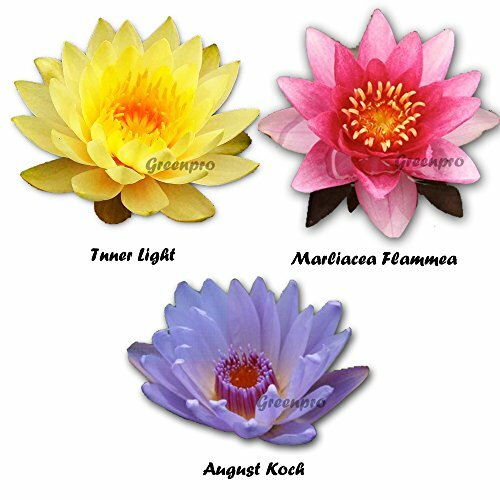 Nymphaea Inner Light (Yellow) | Marliacea Flamea (Red) | August Koch (Blue). Provide the most healthy and beautiful environment to your aquarium pet. If you have any questions about this product by GreenPro, contact us by completing and submitting the form below. If you are looking for a specif part number, please include it with your message.